It is with great pleasure that I am writing to you in this inaugural issue of the Democratic Party of Moldova’s European Newsletter. As Chairman of the PDM, I take great pride in the work that we are doing in government to promote vital democratic reforms and ensure our country firmly stays on a European track. Through this monthly newsletter, we will be able to keep our friends across Europe informed about what the PDM is doing, our successes, opportunities and challenges, as well as our shared ambitions for a brighter future as a strong partner to the EU. While keeping you up to date with news about the PDM’s plans and achievements, I hope you will also enjoy discovering more about Moldova, its people, its history and its culture. On 4 July, the European Parliament held a vote in plenary on the proposed macro-financial assistance (MFA) package for Moldova, with an overwhelming majority of 575 MEPs ultimately supporting the final text. The vote, which took place in Strasbourg following a plenary debate the day before, formally confirmed the position of the European Parliament following months of deliberation in the International Trade, Foreign Affairs and Budget Committees, as well as negotiations between the European institutions on compromises to the proposal originally published by the European Commission in January. The package envisages €100 million in grants and loans for Moldova in the context of stronger bilateral ties under the Association Agreement, in force since July 2016. As strong supporters of closer ties with Europe and association with the EU, the PDM welcomes the support of the European Parliament in promoting the implementation of reforms in line with the EU-Moldova Association Agreement. On 19 June, the European Commission for Democracy Through Law, also known as the Venice Commission of the Council of Europe, adopted a joint opinion with the OSCE Office for Democratic Institutions and Human Rights (OSCE/ODIHR) on the proposed reform of the electoral law in Moldova.The joint opinion offers recommendations on the draft electoral reform, which was submitted to the Venice Commission following extensive consultations in Moldova and which reflects a compromise based on separate proposals initially put forward by the PDM and the presidency. While the decision to reform the electoral system will remain a national choice, the PDM welcomes the joint opinion and recognises that the final report presents a number of highly constructive arguments, especially from a judicial perspective. The PDM is committed to respecting the key recommendations from the Venice Commission, and will soon work to translate the most relevant suggestions into amendments to the proposal, in collaboration with partners. On 20 and 21 of July, the party leadership of the PDM visited Brussels in order to build closer ties with EU counterparts and to reinforce the importance of the EU-Moldova relationship as the country continues to push ahead with reform. 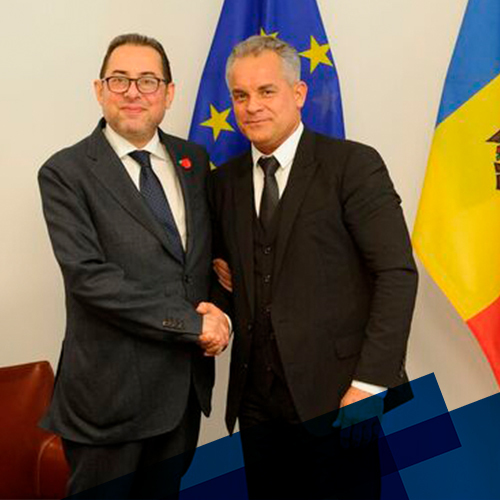 Prime Minister Pavel Filip, PDM Chairman Vlad Plahotniuc and Speaker of the Moldovan Parliament Andrian Candu met leaders of the S&D Group in the European Parliament, discussing recent progress on the reform agenda. S&D leaders voiced their support for proposed reforms to the electoral system and in combating disinformation and propaganda. MEPs agreed to back a debate in the European Parliament on fighting misinformation based on a proposal presented by the PDM. Support for the bill to fight propaganda was similarly welcomed by MEPs from other groups, such as ALDE Vice-Chair Norica Nicolai and EPP Vice-Chair of the Subcommittee on Human Rights Cristian Dan Preda, who also called on PDM leaders to communicate more actively with Brussels for better EU-Moldovan relations. On 10 July, European Commissioner for European Neighbourhood Policy and Enlargement Negotiations Johannes Hahn visited the Moldovan capital of Chişinău to meet senior figures from Eastern Partnership countries ahead of the Eastern Partnership Summit to be held in November. In a series of informal meetings, Commissioner Hahn discussed strengthening cooperation on energy efficiency and improving energy security, boosting economic growth and competitiveness, creating jobs and preventing climate change. The PDM welcomed the Commissioner’s visit, as well as the continued support of the EU for investments that provide significant benefits for the public, the economy and the environment. The Government and Parliament set out a reforms roadmap in 2016 and 94% of the measures have already been launched. They include reforms to reduce the red tape involved in setting up a business (a 25% cut in the documentation required) and a reduction in the number of government Ministries as part of a major shake-up of central and local public administration. Other reforms include stricter rules to ensure that those guilty of corruption are properly sanctioned, that the appointment of Supreme Court judges is depoliticized, and that the outdated pension system is more sustainable. Future newsletters will have more detail on the specific reforms. 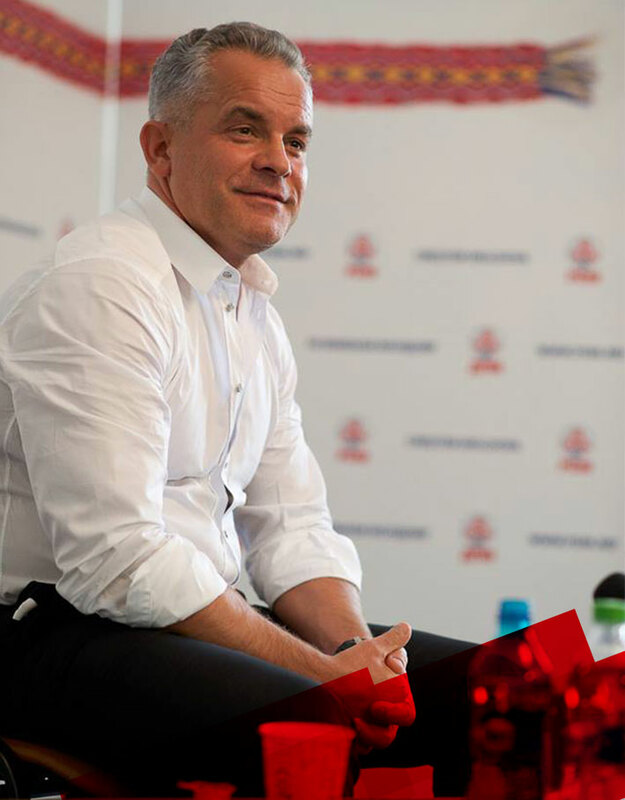 On 13 June, the PDM formally submitted a proposal to Parliament for a new law to counter foreign propaganda, following an announcement from Party Chairman Vlad Plahotniuc that new measures to combat disinformation would soon be proposed. Highlighting the negative impact that intentionally false or misleading reports from Russia have on public trust and information security, external relations and the development of homegrown media content, the proposed bill will protect programmes from trusted sources such as the EU, while increasing scrutiny on potential propaganda such as military broadcasts or state-owned news agencies from Russia. Did you know that Moldova obtained the title of “country with open doors in the paradise of wine” with over 107,000 hectares for commercial production, from a total of 266,000 hectares? Moldova is a world-famous wine producer exporting more than 67 million bottles of wine per year. 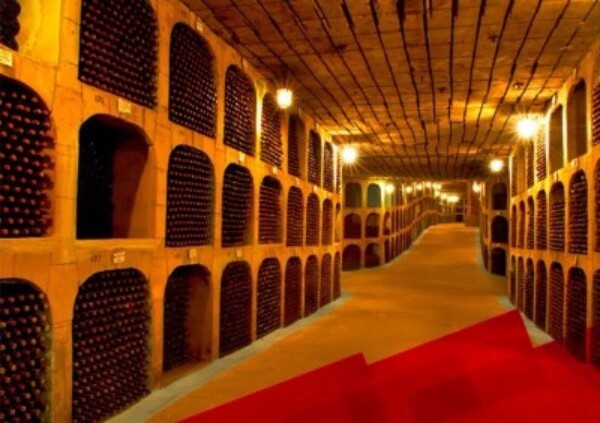 The world’s biggest wine collection recorded in the Guinness Book is at Milestii Mici with a total length of 200 kilometers, filled with nearly 2 million bottles of wine, just 10km from the capital Chisinau. Copyright © 2017 Democratic Party of Moldova, All rights reserved.